Bijapur, a region famous for its quality produce of table grapes, is the place where the flavorsome wine of the Hampi Heritage Vineyards comes from. The ideal climatic conditions and temperature add to the taste and depth of their French wines. Hampi Heritage Vineyards is the brain-child of Mr. Ramesh C Jigajinagi, a Member of Parliament, who is now the Chairman and Managing Director of Hampi Heritage Vineyards Pvt Ltd. It is the second oldest Vinery in Karnataka, established in the year 2002. The grapes nurtured in the vast Krishna farms are cultivated in the good old fashioned way with great care. 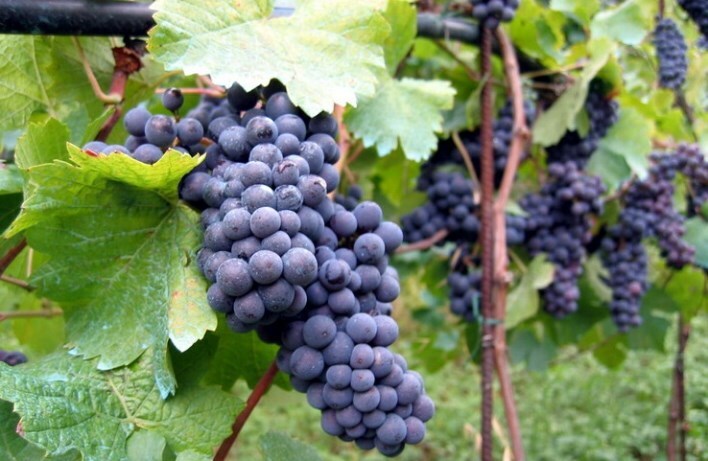 The grapes are grown without using chemical fertilizers or pesticides. Natural ingredients such as Neem oil keep the pests and insects at bay. The farm is planning to delivery completely organic produce in the near future, and making the produce certified organic. Sauvigon Blanc: A white wine made from sauvignon Blanc grape variety. These green skinned grapes and the cool climate give the wine a clean fresh and crisp taste; known to go well with fish. The Rosé: Is rumored to be one of the first known wines, which gets its name due to its colour. Made from Syrah grapes, these get the light red colour form the outer skins of the grapes. These grapes are crushed and the skins are allowed to present in the juice for just over 3days hence imparting the onion pink colour to the wine. The Shiraz: One of the most widely used wines the world over is a red wine made from the Syrah grapes. These wines have an undertone of blackberry, plums and pepper making it a favorite the world over. It goes well with spicy Indian food. The Sauvigon Chenin Blanc: Made from the Sauvignon Blanc and Chenin variety of grapes. This white wine is made by mixing two varieties of grapes to give it a unique taste. A light bodied wine, it is famous for its grassy as well as fruity notes. Cabernet Shiraz: A mix of the Cabernet Sauvignon and the Syrah grape, giving it a strong as well as a dark spicy taste. The coming vintages will offer a range of wines including Merlota, Zinfandles and if it all works well Pinot Noires too. Hampi Heritage Vineyards is planning to educate the Indian wine consumer about the ways of choosing and storing a wine. They also intend help people decide which wine would go well with their meal. This they believe would be a great help to the new India that is slowly taking a keen interest in home grown wines. Bangalore International Airport is the nearest airport, one would have to take a Volvo Bus or take a train to get to Bijapur. Taxies can also be booked but the distance is 506 kms, hence it’s not feasible to go by car. There are innumerable trains connecting Bangalore City Junction to Bijapur. There are trains connecting various cities to Bijapur too. There are many buses connecting Bangalore to Bijapur as it is a prime tourist destination. Seats for these buses can be booked online for a hassle free travel.